Glass Vs Acrylic: Which Aquarium Is Best For You? Which is better, a glass or acrylic fish tank? Both glass and acrylic, a clear plastic, are commonly used in fish tanks. At first glance, there is not much difference between the two – both are clear and capable of holding large amounts of water. It’s not until you actually own each type of aquarium that the differences become obvious. Over the years, I have owned many different aquariums. Some were glass while others were acrylic. While I prefer glass, I won’t argue that there are certain circumstances where acrylic is better – I’ll get to that in just a moment. So read on to discover the pros and cons of acrylic and glass and find out which is right for you. If you are new to the hobby and just want a quick recommendation on which is best for you – glass is the way to go. I recommend glass aquariums for beginners who want a tank less than 150 gallons (568 liters). As I covered in my beginner’s guide to choosing a fish tank – incredible care must be taken with acrylic tanks to avoid scratching, especially during cleaning. It’s hard to appreciate how good your fish look when you are staring through a scratched tank. Not to mention that glass aquariums are easier on your wallet! These two points make glass aquariums more suitable to beginners than acrylic ones. That said, acrylic does have its benefits, namely being lighter, which makes it more suitable for large tanks – tanks so big that most beginners wouldn’t even consider them. 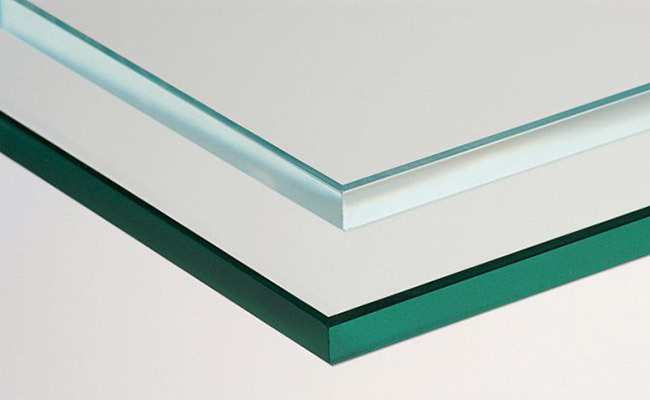 As you see in the table below, glass and acrylic are very different materials, each with advantages and disadvantages. Don’t worry if this table doesn’t mean much to you, I will cover each point in greater detail later in the guide. Now that you have read the summary, let’s take a closer look at the differences between glass and acrylic aquariums. This one always comes as a surprise, but glass aquariums are usually cheaper than acrylic. I know, I know…. Acrylic as a material is cheaper to manufacture and transport than glass. But a complete glass aquarium is still cheaper than an acrylic one. Glass aquariums are more popular. Because of this, more glass aquariums are manufactured, which reduces the total cost. However, there is a tipping point when acrylic aquariums become cheaper than glass aquariums. If you are shopping for a particularly large aquarium, around 150 gallons (568 liters) or larger, an acrylic aquarium is cheaper. This is because glass weighs more than acrylic and is cheaper to transport. This is the main reason why I recommend glass, especially to beginners. Acrylic scratches waaaaaaay too easily. My last acrylic aquarium was actually scratched during transport. Despite all the protective packaging, when I unboxed my new aquarium, it had a noticeable scratch down the left side. But let’s say that your acrylic aquarium arrives safe and scratch-free. Anything brushing against the tank can scratch it. Yep, even just walking by your tank and making slight contact can rough up the surface. If you have young children that constantly touch or play near your tank, or even a curious cat, steer clear of acrylic. Even critters living inside your tank can scratch the surface. The sharp shell from a snail or sharp tooth from a fish is all it takes. And when cleaning, you need to use an acrylic-safe algae scrubber. And good luck if you accidentally get a small piece of gravel or sand caught in it – it’s a one-way ticket to scratch city. There are acrylic polishing kits that can be used to restore acrylic tanks to their former glory, removing all signs of scratches. But do you really need more chores? And besides, you will have to drain your aquarium to remove any scratches from the inside. Glass, on the hand, is much more difficult to scratch, that’s why it makes such a great material for the windows in your home – it is difficult to accidentally scratch glass! Acrylic aquariums look “beat up” much quicker than glass aquariums. I don’t need to tell you that glass is heavier than acrylic. But just how much heavier glass is may surprise you. Imagine you have two aquariums that are the exact same size. The only difference between the two is that one is made from acrylic and the other from glass. The glass aquarium can be as much as 10 times as heavy as the acrylic aquarium. The lighter weight of acrylic has advantages. A small acrylic aquarium is much easier to lift than a glass one. You can easily move the tank around your home, even with water inside. And when it comes to large custom-made tanks, you will need to consider the amount of weight that the floor in your home can support. Choosing acrylic over glass is a commonly used method of reducing the overall weight of the tank. The hard, brittle nature of glass makes it difficult to shape. This is why most glass fish tanks are square or rectangular. Curved glass aquariums have the added problem that it “bends light,” which makes the fish on the inside appear larger or smaller than they actually are. Acrylic, on the other hand, is easily molded into any shape that you can imagine. It also bends light less, which means that your fish look how they should. Okay, so this one is only relevant in the event of an accident. I don’t need to tell you to prevent heavy objects from crashing into your aquarium! Acrylic is much more resistant to impacts than glass, which can break or chip. But if bumps and crashes are a concern, you are better off choosing a different location for your fish tank. The glass windows in your home are designed to let light in. But this light can damage acrylic, causing it to become yellow and brittle over time. UV light to be specific. If sunlight hits your aquarium (it shouldn’t) or if you have UV aquarium lights to help with plant growth – it will eventually wear down the acrylic. While there are “UV-resistant” acrylic aquariums, even these eventually discolor. Every acrylic aquarium I have ever owned has reached the stage where it becomes cloudy. And while the process may have taken years, it seems like it is unavoidable. Glass, on the other hand, does not suffer from the same problem and will remain clear, no matter how much light shines through. If you love DIY projects and want an aquarium that is easily modifiable, acrylic is the way to go. You can easily drill holes in acrylic to make way for pump outlets, overflows or anything else your creative mind can think up. While you can still drill through glass, as long as it isn’t tempered, it is a nerve-racking experience and requires much more care than drilling into an acrylic tank. As you see, the pros and cons of each material heavily impacts how you can use your aquarium. If you want an unusual-shaped aquarium or plan on modifying your tank with a drill, acrylic is the way to go. But again, for the vast majority of you, it’s hard to beat a good glass aquarium. With proper care, a glass aquarium will outlast you! Thanks for sharing your thoughts. You make an excellent point on saving money, which subsidizes the cost of all your other equipment! I can’t comment on the failure rate as I have not tested one against the other in a controlled environment. Anecdotally, I hear more stories of glass aquariums breaking but this is likely due to it being the most common material used in aquariums. I am unaware of Cory’s exact circumstances and what lead to the breakage, but I have seen plenty of 300+ glass tanks that have been going strong for many years without issues. My local aquarium has a 350 gallon display tank and they have not done anything out of the ordinary to brace it. I am planning to buy a fish tank, I would like to keep a total of 9 fishes, 4(gold), 4(small koi ) 1 silver shark. What tank size would be better for me. A pond. These fish have a very large bioload and the koi grow quick. They would quickly die in all but the largest of tanks. Check out aqadvisor for fish you can stock in smaller tanks. one thing i wanted to know about “acrylic tank” is my local aquarium shop guy told that acrylic is not good for fishes and its made of some chemicals so that fishes will die is it true or false. Properly sourced acrylic from a reliable manufacture shouldn’t leach anything into the aquarium at normal temperature. I also appreciate your post and information! Long story short, my son, 11, currently has a 10 gallon tank, and a small one (with a wall) for his two beta males. For Christmas his number one wish list item is a 50 gallon tank so he can get koi fish. He found an acrylic tank online, oddly cheaper than glass, and I needed help choosing. Definitely beginners! We have three dogs and kids over so acrylic is sure to be scratched from what you said. Thank you!! That sounds like an amazing Christmas present! Your son is very lucky. Just be mindful that it’s generally recommended you only stock 1 inch of koi per 10 gallons of water while they are growing – so if a single koi is 5 inches long, you would need a 50 gallon tank for that one fish. Great tips and I’ll get to Petco this week!! Sounds like his desire to get two koi will have to wait. I’m willing to do 75 gallons, (especially now that I know about the sale! ), but that wouldn’t even be enough for two. I’m just a little worried about the weight with glass and water since his bedroom is upstairs. I’m not sure where I would check weight capacity for our house. If he got one koi, would he be able to also get other fish? He currently has a black moor goldfish that will be about 10”, a black molly and a tetra. He’d of course like to get more, hence the bigger tank. He loves catfish but we must be doing something wrong because we lost all three. I know that I’m veering off the glass vs acrylic topic but I’m struggling to find good resources and you’re clearly very knowledgeable about tanks and fish!! Just a heads up, apparently not every state (such as Hawaii) is doing the sale, so ring ahead. A 75 gallon tank filled with water would weigh around 850 or so pounds. I cannot say whether your house is up to code and correctly built. But generally speaking, you would expect 4 adult males to be able to stand in the one spot without your floor collapsing, right? Well, that’s a similar weight to a 75 gallon. Drop down to 50 gallons and it’s closer to 600 pounds. There is a reason Koi are generally kept in ponds, they need a good amount of water. While a 50 gallon might hold a small koi for a while, it doesn’t take into account that the Koi will grow (up to 15 or so inches for aquarium suitable species.) A young Koi can grow 4 inches in a year. So a tank that is suitable now likely won’t be suitable in the near future. Given this, I’d be hesitant to recommend koi for this tank. I know it’s not what you want to hear, but any fishkeeper who will tell you otherwise is likely trying to sell you something and doesn’t have the wellbeing of the fish in mind. You gave me the idea to check with our code inspector. Thank you! This will be a big bummer for my son. And I know that I’ll hear “but my friend has his in a container and they’re fine.” (It’s a large plastic tote.) The plan for both kids was to build something outside next summer. However, we live in upstate NY so they’d need to come inside for the winter and need adequate space. With that said, he’ll ultimately care about their well being. There are plenty of fun and interesting fish and a larger tank will still allow him more variety. Once again, thank you for your honesty and tips! Also for the reviews on various products. Extremely helpful as we begin this journey!!! I’m glad I could help. There are so many amazing fish that can happily call a 50-75 gallon tank home that I’m sure your son will find another species that will excite him just as much as Koi. I rescued a Beta fish from my office and just purchased a beautiful glass tank for it. I was told that a glass tank dirties faster and becomes cloudy with algae as with the acrylic I wouldn’t have that problem. Is this true? This is incorrect. Making sure your tank is cycled (cycle your tank before adding your fish), your water parameters are correct (Use an aquarium test kit) and regularly performing water changes and maintaining your tank will have the greatest impact on algae and cloudiness. It doesn’t matter whether you choose glass or acrylic here. Dear Mr Ian, your post is extremely comprehensive and helpful. I have been a fishkeeper for 11 years now and still there are so many things I have just learned thanks to you. Thanks for the feedback. I think that is the most exciting part about this hobby, there is always something new to learn!